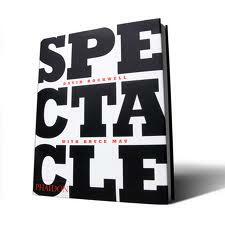 In the afterglow of the octopus-laden extravaganza that was the Olympic closing ceremonies, we got one of one of our favorite idea books off the shelf — Spectacle by David Rockwell with Bruce Mau. From the Olympics to Burning Man to the Running of the Bulls… Carnival… the March on Washington and more… intriguing photographs along with interviews with creators, artists, designers and people involved… unpack what spectacle truly means and how it happens. Even though it’s likely that none of us is in a position to create such an occurrence, this book is filled with powerful examples of ways to engage, inspire, and think more broadly about how we build our interactions with people. Whether we’re creating a social media presence, writing a brochure, planning a campaign or designing an event, these ideas can help you get closer to that “something important is happening here” feeling. And that’s definitely where you want your donors to be.